In late 2005, we published an article outlining recommended data center temperature and humidity levels. Over the years, that article has been one of our most popular pages and has helped thousands of customers establish, monitor and maintain appropriate data center environment conditions. Since that article was written, ASHRAE has updated its recommendations for data center temperature and humidity. Given the newly updated and revised ranges, we wanted to update our recommendations to reflect the temperature and humidity guidelines you should be following and monitoring in your data centers. Room Alert provides multiple ways to proactively monitor these environment conditions to make sure your most important resources and assets are always protected. Gartner Research estimates the cost of one hour of downtime at around $5,600 per minute – that’s $336,000 per hour. Don’t allow temperature, humidity or other environment conditions cost your company hundreds of thousands of dollars in lost revenue! Server rooms and data centers contain a mix of both hot and cool air – server fans push out hot air while running, while air conditioning and other cooling systems bring in cool air to counteract all the hot exhaust air. Maintaining the right balance between hot and cool air has always been foremost in maintaining data center uptime. 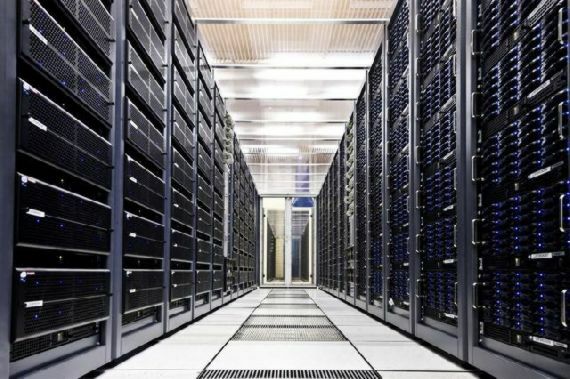 If a data center gets too hot, equipment runs a higher risk of failure. That failure often leads to downtime, lost data, and lost revenue. When our article was first published in 2005, the recommended data center temperature range was 68° to 75°F (20° to 24°C). This is the range that the American Society of Heating, Refrigerating and Air-Conditioning Engineers (ASHRAE) advised was optimal for maximum uptime and hardware life. This range allowed for best usage and provided enough buffer room in the event of an air conditioning failure. Since 2005, newer standards and better equipment have become available, as have improved tolerances for higher temperature ranges. ASHRAE has in fact now recommended an acceptable operating temperature range of 64° to 81°F (18° to 27°C). Keeping in line with those revised temperatures, server manufacturer Dell states that the temperature “sweet spot” for their servers is 80°F. Higher allowable temperatures mean data centers and companies with dedicated server rooms don’t need to cool them as much as they used to. This helps conserve both power and money in many instances. However, it’s important to keep in mind that higher standard operating temperatures mean less time to react when it comes to rapidly escalating temps if a cooling unit breaks down. A data center filled with servers operating at higher temperatures runs the risk of quickly hitting hardware failure in that instance. These newer ASHRAE regulations make it even more crucial that any data center or business with a server room proactively monitors its environment conditions. The higher the temperatures, the more risk of server failure and data loss, and the more important to have proactive monitoring equipment in place that can quickly notify you when an environment issue occurs. 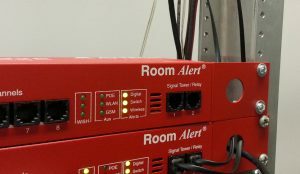 Room Alert helps provide that proactive monitoring by sending alerts immediately when a temperature or other environment threshold is reached. We recommend placing Room Alert at the top of each server rack for optimal temperature readings. Digital temperature sensors should be placed every 25 feet (closer if appliances such as blade servers, which generate more heat, are used). By proactively monitoring your environment, any critical temperature threshold that is breached will result in immediate notification. This will allow you to address the temperature issue as soon as possible. ASHRAE’s newer 2016 guidelines remain relatively the same with data center humidity, with a recommendation of 50% humidity. Minimum humidity is 20%, while maximum humidity is 80%. Ambient cooling always creates humidity in the air of a data center; it’s very important to make sure the humidity stays in the recommended range. If humidity is too low, the dry air will lead to electrostatic discharge (ESD) which can damage critical server components. 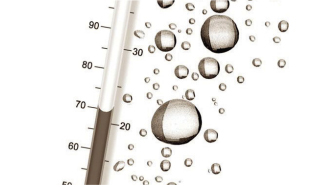 Too much humidity will cause condensation, leading to hardware corrosion and equipment failure. Our recommendations on humidity alerts remain the same as they were in 2005. Early warning thresholds of 40% and 60% relative humidity should trigger alerts. Critical alerts should be sent if relative humidity reaches either 30% or 70%. Our Digital Temperature & Humidity Sensor easily monitors both temperature and humidity with superior accuracy; these sensors are available in 25’, 50’, and 100’ lengths and are compatible with all Room Alerts. It is absolutely critical that data center temperature and humidity is monitored closely to provide for both maximum uptime and maximum hardware life. If your company is not proactively monitoring both temperature and humidity in your data center or server room, please contact us today. 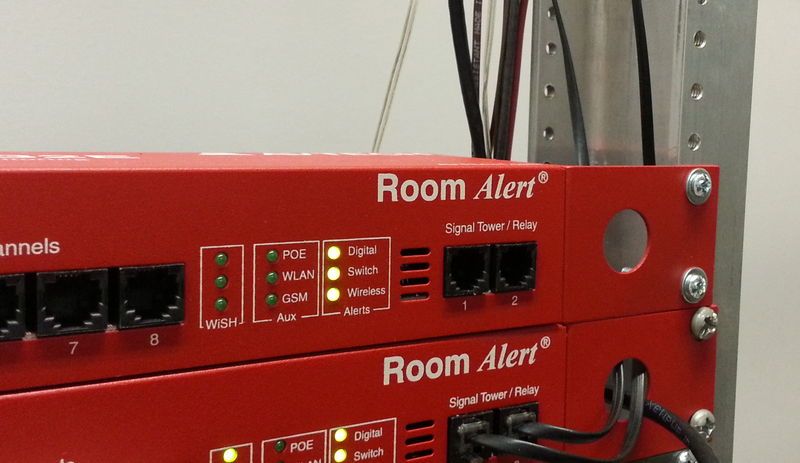 One of our dedicated product specialists can help determine which Room Alert would be best for you. With nearly 30 years of experience, and products in 181 countries, our experience will help make sure your data center and critical facilities are protected against negative environment factors. Contact us today at 401.628.1600, toll free 888.220.6700, by email Sales@AVTECH.com, or through our online chat. Don’t wait until it’s too late! Remember, ‘Proactive Monitoring’ is always better than ‘Disaster Recovery’.